CROSBY  Obviously the local school board knows a good man when they have had years to evaluate him; Mike Joseph was elected Superintendent of Crosby ISD at the school board meeting on April 23. Dr. Don Hendrix retires on July 1 and will be helping guide the Superintendent elect with 21 years of experience. Ive always made decisions based on what was best for the school district, said Hendrix wrapping his contribution in one sentence. Mike Joseph has been with the Crosby Independent School District for twenty three years. He taught eighth grade Math for eleven years at Crosby Middle School. He was principle of Newport Elementary for ten years. This is the end of his second year as Assistant Superintendent. It takes little powers of observation to note that Joseph has the best interests of the community at heart. Casual observation would assert that he views the tasks before him as a service business with the students as the customers. After his election to office Joseph told the board that his goal would be to continue the successful academic achievements of Dr. Hendrix. Joseph graduated from Edinburgh University in Edinburgh Pennsylvania and achieved a Management Degree from the University of Houston Clear Lake. 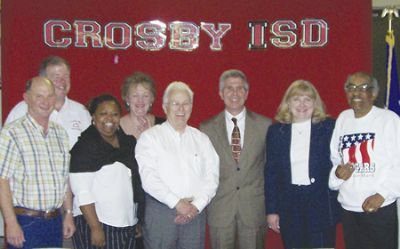 On Monday, the Crosby ISD board approved a $133,000 per year, three year contract. BAYTOWN Highlands residents, upset over a proposed high school rezoning plan based on socio-economic equality rather than proximity to the school, took their concerns to the Goose Creek CISD Board of Trustees Monday night. A standing room only crowd of more than 100 erupted in applause when the Rev. Tim Edwards told board members that the community wanted all students at Highlands Junior School to attend the same high school. Edwards called the proposed X and Z rezoning plans jerry mandering and reminded the board that they were under an obligation to do what was best for the students. Speaking on behalf of the Greater Highlands Lynchburg Chamber of Commerce, President Jessica Woods said that plans X and Z were at odds with the idea of neighborhood schools. Highlands, she said, supported the bond election to build the third high school because they trusted the district. The proposed plans, she said, would be a waste of tax dollars by sending students to a school 10 miles away (Sterling) rather than four miles away (third highing the board that plans X and Z were fiscally irresponsible. She accused the board of ignoring the recommendations of the rezoning committees, saying that if socio-economic issues were such a concern the board should have made that clear from the beginning and that the elementary and junior high lines should also be redrawn to address this. Complaints were also addressed directly to Superintendent Dr. Barbara Sultis. Betty Michalsky asked her why did she come to the Highlands Chamber of Commerce and ask for the communitys support if the district was going to treat them as second class citizens. At this point Board President Carl Burg broke in and asked the audience not to refer to specific employees by name. Burg, at the beginning of the public comment period, drew criticism from the audience when he said that he would only allow 30 minutes for the entire public comment period. He added that if someone wanted to speak to the board and someone had already addressed the issue it would be better for them to not speak but give their time to someone else. Of the 14 people who signed up to address the board, 13 made it to the podium before time was called. Burg did say, however, that he allowed them to go a few minutes over the 30 allotted to them. Burg reminded the audience that the board had not made a decision yet and in the end it was their decision not the school administration. The board will meet in a workshop session on May 9 at 6:30 p.m. A final decision is not expected until June. To achieve your financial goals, you need to be a diligent saver and investor. But you need to do more than just build your assets – you also must do a good job of managing your debts. If you let your debts get out of control, they will eventually erode your savings and investments – and when that happens, the road to financial success can get pretty bumpy. *Debt is rising. By September 2006, household debt had reached 130.9 percent of disposable income, according to the Center for American Progress. In plain English, that means we owe about a third more than we have available to spend after weve paid our taxes and met our expenses. *Savings have fallen. For most of 2005 and all of 2006, the personal savings rate was negative, according to the U.S. Commerce Department. Previously, we havent had a negative savings rate since the Great Depression. In short, weve gotten into the habit of spending more than we save. These grim figures foretell a discouraging financial future for many of us. Every dollar you pay for debt is a dollar you cant use to invest. Furthermore, if you have too little in savings, you may well be forced to dip into your existing investments to pay for short-term needs, such as a car repair or an expensive new appliance. And the more you take from your investments today, the less you will have available tomorrow – when you might need the money to help pay for retirement or your childrens college tuition. So what can you do to protect your savings and investments against the demands of debt? You probably already are familiar with some steps you can take to cut costs: Extend the life of your old car, eat out less often, look for cheaper phone and cable service, etc. In short, review your entire lifestyle, and try to separate the nice to have items from the must have ones. If you can reduce your expenses, you can start whittling away at your debt. You also may want to pay yourself first. Each month, before you pay the mortgage, the utility companies and your other obligations, set aside an amount for your investments. Its easier if you set up a bank authorization to move the money directly into the investment you choose. By having the money taken out this way, you are less likely to miss it – and, hopefully, youll be less likely to look at it as a source of funding for your daily life. By cutting your debts, boosting your 401(k) contributions and paying yourself first, you can help yourself get a firmer grip on your financial situation – today and tomorrow. 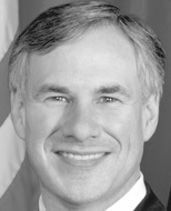 LIBERTY–Texas Attorney General Greg Abbott took legal action April 17 against CVS Pharmacy for exposing its customers to identity theft. According to court documents filed by the Attorney General, CVS violated a 2005 law requiring businesses to protect any customer records that contain sensitive customer information, including credit and debit card numbers. Investigators with the Office of the Attorney General (OAG) discovered that the CVS store in Liberty, exposed hundreds of its customers to identity theft by failing to properly dispose of records that contained sensitive information. The investigation was launched after reports indicated that bulk customer records were tossed in a dumpster behind the store. Investigators also found several medical prescription forms that included each customers name, address, date of birth, issuing physician and the types of medication prescribed. The documents obtained by OAG investigators also contained hundreds of active debit and credit card numbers, complete with expiration dates. CVS is accused of violating the 2005 Identity Theft Enforcement and Protection Act, which requires businesses to protect and properly dispose of documents that include clients sensitive personal information. Under the law, the OAG has the authority to seek penalties of up to $50,000 per violation. The Attorney General also charged CVS with violating Chapter 35 of the Business and Commerce Code, which requires businesses to develop retention and disposal procedures for their clients personal information. The law provides for civil penalties of up to $500 for each abandoned record. Attorney General investigators are also working to determine if any exposed data has been used illegally. Consumers who interacted with CVS Liberty location should carefully monitor their bank, credit card and any similar statements for evidence of suspicious activity. Customers should also consider obtaining free copies of their credit reports. Consumers who wish to file a complaint may contact the Office of the Attorney General at (800) 252-8011 or file a complaint online at www.oag.state.tx.us. Consumers can also obtain information on how to detect and prevent identity theft. CROSBY With the April 18 Grand Opening of a brand new Palais Royal store at 14029 FM 2100, Crosby area residents will have their very own Family Fashion Store with So Much to Love and easier access to name-brand fashions than ever before. This newest Palais Royal store will offer one-stop shopping conveneince with apparel for the entire family, plus shoes, accessories, jewelry and home gifts. Shoppers will be able to find their favorite brand names including Reebok, Izod, Sag Harbor, Chaps, Haggar, South Pole, Levis, U.S. Polo Assn., Carters, Nike and many more. In addition to great prices on great brand names, Palais Royal customers have access to a store branded credit card and a V.I.P Rewards Program. Palais Royal credit card customers earn V.I.P. awards such as invitations to exclusive savings events, free gift wrapping and more, based on annual purchases. Cardholders also receive bonus savings coupons via mail. Additionally, Palais Royal offers a special discount program for its customers age 50 and over. 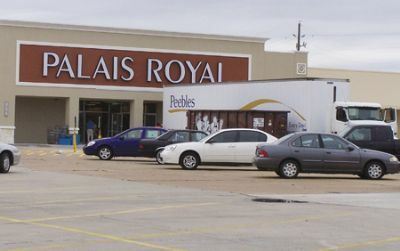 Palais Royal will hold a six-day Grand Opening Celebration for the entire Crosby community, starting with a ribbon cutting ceremony on Wednesday, April 18 at 8:45 a.m.
All Palais Royal shoppers can enjoy a 1.5% storewide discount with a Grand Opening Shopping Pass. The first 150 customers, age 16 and older, to arrive at the store on Wednesday and Thursday will receive free gifts. On Friday and Saturday, Crosby customers win receive a Bonus Coupon Book offering five weeks of bonus savings. All shoppers who visit the new store at any point in the six-day festivities can register to win one of three $250 Palais Royal gift cards, and the first 200 customers to make a Junior Department purchase will receive a Free 1-year Seventeen magazine subscription. The celebration will continue through Monday, April 23, with great savings throughout the store. CROSBY Crime Stoppers and private sources have increased to $35,000 the reward offered to help find the killer of a Crosby woman who was fatally shot and then set on fire in the Galleria area last year. Melanie Diane Parker, 21, was discovered in a bed at her apartment in the 2700 block of Briargrove on May 25, 2006 said Ray Wathen, communications manager for Crime Stoppers of Houston. The apartment had been set on fire to cover the murder. The announcement came during a press conference held Saturday at the First Baptist Church of Crosby. A Crosby native, Parker was an engineering student at San Jacinto College. Crime Stoppers had been offering a $5,000 reward. Lets see if a little more money will help, Wathen said. In addition to the press conference, Parkers family and friends held a personal health, safety and crime prevention fair during the morning. Events included presentations on safety, crime awareness and prevention, crisis intervention, child fingerprinting and other crime-related subjects. Anyone with information on the case is asked to call Crime Stoppers at 713-222-TIPS. DAYTONIt was six years in the making, but this past weekend the Old School Museum opened its doors to the public. A ribbon cutting ceremony was held for the museum located in a former schoolhouse across for the Dayton Post Office. Dayton Historical Society President Mary Beth Jamison said the society began looking at the building in 2001. While it was build as Daytons first school, he building had gone through changes since it was used from 1900-1910. During the mid to late 1990s the building housed an antique store. 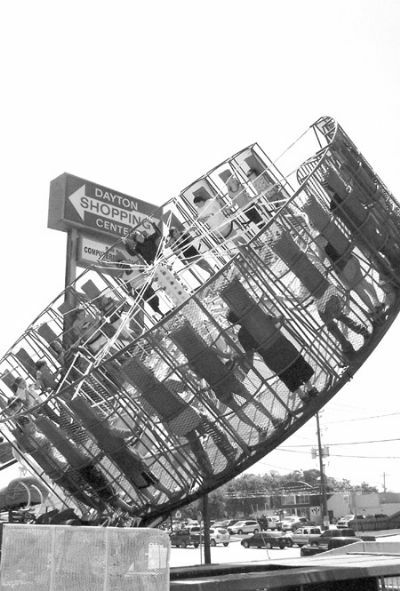 This closed in 2000 and the building was condemned. The owner of the property, Margaret Jameson, agreed to sell the land and building to the society for $23,000. Mary Beth said that as a historical landmark itself, the building was a perfect location for a historical museum. Even though work has been done inside the building to accommodate modern conveniences such as electric lights, climate control and an alarm system as well as bring it up to code, much of the interior is as it was when students used the building. These are the original floors, ceiling and walls, Mary Beth said. The museum is divided into sections with a community room, a schoolroom and a Dayton history room. In the schoolroom, school furniture of the period has been set up to give visitors a glimpse into life in yesteryear. On the desk sits a copy of the McGuffey Reader, a typical schoolbook of the period. In other rooms are photographs and paintings of Dayton past, including a painting of the Rio Theatre that operated in downtown Dayton in 1970. Putting the museum together was not cheap either. Mary Beth said that they raised $100,000 to renovate and outfit the museum. Funding came for a diverse selection of sources. 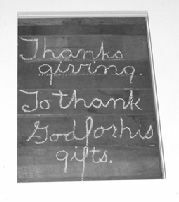 In addition to private donations, the museum committee held quilt raffles, radio and TV auctions, garage sales, bake and plant sales. We tried to think of any way to bring money in, Mary Beth said. At one point, the television show Texas Justice invited several Dayton residents to be in their audience. The monies paid by the show were donated to the museum coffers. The museum also received funds from the City of Dayton from the Hotel/ Motel tax. 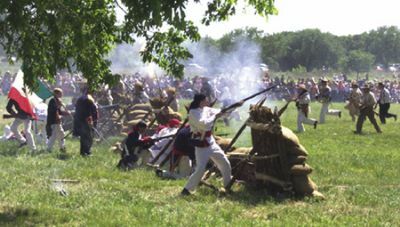 These funds can only be used for certain types of projects including tourism, which allowed the museum to qualify. This has been a labor of love, Mary Beth said. Not just for me but all of us, referring to the many volunteers who helped make the museum a reality. Future plans are to open the museum for regular operating hours three days a week.